Wow - y’all blew us away with your enthusiasm with the #holidayaday photo challenge. We had over 6,000 pictures uploaded to Instagram with the #holidayaday hashtag! Introducing #goalgetter2013. This is a super easy, one photo a month challenge designed to help keep you accountable for the goals you want to achieve in 2013. What you do is pick a goal each month and then snap a picture of you working towards your goal. For example, if you’re goal is to eat healthier, snap a picture of you noshing on those veggies. Want to be a faster runner? Snap a picture after you’ve crushed your run. Easy, right? Don’t feel like you can only take one picture a month though, I know we’d all love to see as many pictures as you little goal-getting heart desires to upload. Throughout the year we’ll be checking in on your #goalgetter2013 progress. We’ll have fun progress updates and maybe even a surprise giveaway or two so make sure to follow us via our blogs and on Instagram. I can’t wait to see what goals you have planned for 2013! What are you waiting for? Go out and get your goals! Muah! (That is a kiss!) Good luck! I am loving being a part of this amazing group!!! I consider myself lucky for having the 7 of you in my life and my cheering section!!! agreed! I love you ladies and this is going to be such a great fun challenge!! What a fun way to incorporate bloggers into this effort! ;-) You ladies ROCK! So fun! I love this idea!!!! Great idea and motivator! Let's get after it! Sounds like fun. Good to get together with your friends and do challenges together. 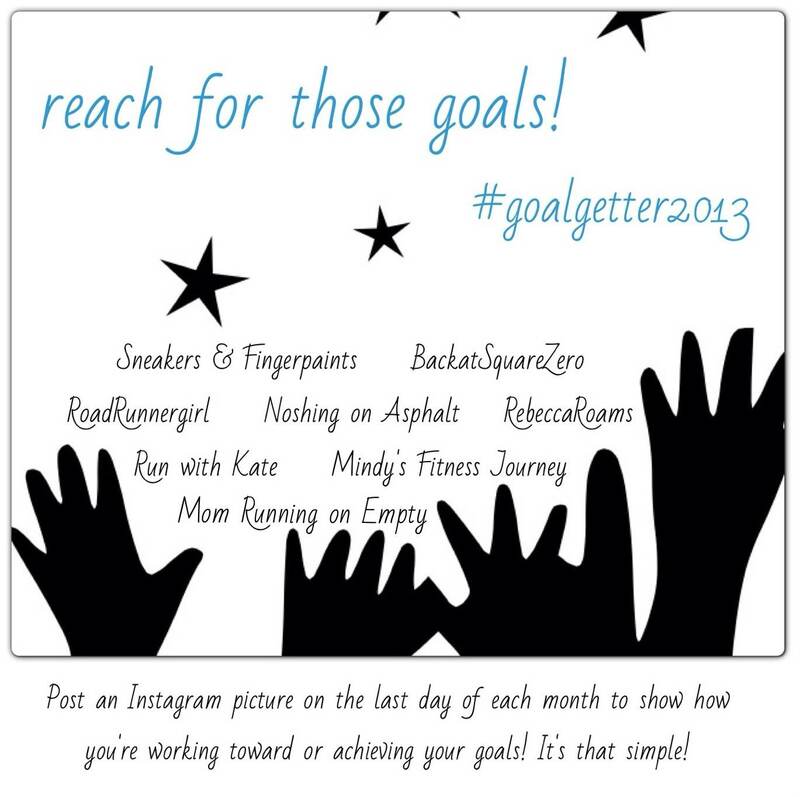 So excited to cheer each other and all our new #GoalGetter2013 friends on! Bring on the #goalgetter2013 awesomeness! My goal right now is simply to post progress pics! LOL! I am always trying to get leaner and carry more muscle! I'll follow along with #goalgetter2013!